Marketing Automation has become a widely known marketing strategy that almost all of people in the business are sending emails with hopes of gaining their customer’s trust. With a large number of companies out there,, are your emails being read? Now, if they’re being read, are they making yousales? Chances are, only a few percent of your contacts are going to convert and buy your product or service. 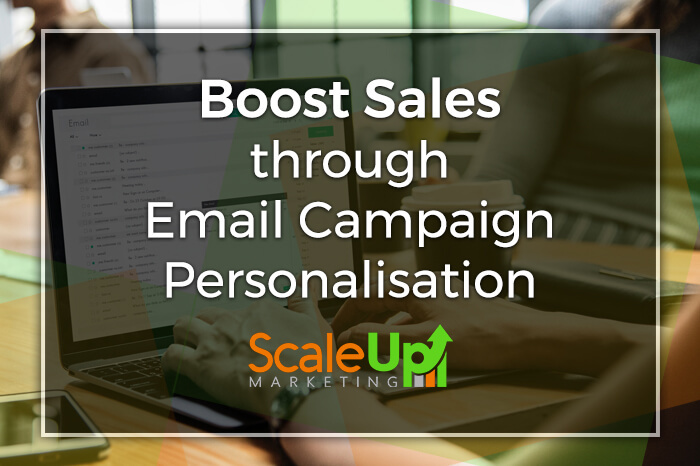 If you want your sales to raise, why not allow email campaign personalisation to do it for you? You see, people are tired and sick of automated emails. They are aware that these businesses are only after their purchase. Your customers wants to feel important— not only for their money. They want emails that come from real people that can help them get what they want. John is looking for a good healthcare provider for his employees, he wants to make sure that the money he’s paying for it is worth every penny. He then found your business and seems to like your healthcare provisions, so he signed up for your weekly updates to get to know more about your company. How are you going to make John choose your company? This is where you construct your email according to John’s preference. You will use the data and information he provided to make sure that every email you send to him is engaging and relevant. Through personalisation, building you can build a good customer relationship with John a lot easier. If John sees you as someone that he can converse with and will give him the service that he needs, John will most likely trust you and your brand. Trust is one of the critical factors that you need to gain from your customer that will keep them coming back for more. It is also a significant factor that will make them refer you to their family and friends. Which Part Of My Emails Can I Personalise? One of the things that your customer will see in their inbox is the name of the sender of the email. 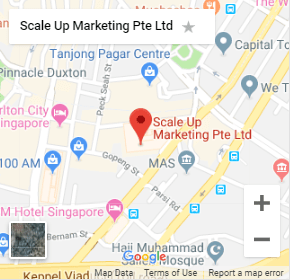 Most of the time, people who use email marketing and CRM in Singapore uses their brand name. Although using this will not make your email less relevant, it will still sound a bit automated. You want to look human in front of your customers which is why it would be better if you use your name, the name of your manager or your sales representative’s name. This way, your customers will know that they’re receiving a letter from a real person, and you’re not just someone who wants to sell something to them. Another email personalization technique can use to make your email will stand out in your customer’s inbox is your subject lines. Be aware that you may not be the only person who’s emailing your customer so you have to make sure that you’re able to grab their attention on the first glance. According to Campaign Monitor, using the first name of your customer in your emails will help you increase your email open rate by at least 26%. Now, be aware that these 2 are only the basics. There’s more into personalising your email than just grabbing your customer’s attention upfront. You have to make sure that you can keep your customer’s interest within your copy through personalisation, this is where your customer persona will become handy. How Do I Personalise My Emails? Before you start writing, you need to ensure that you have a plan laid out on the table. Personalising without a plan is like going on a date without a list of things you want to achieve on this particular date. You’ll most likely end up blabbering nonsense and will bore your date out. If you already have a plan in mind, then good, you’re ready for the next step. If not, then start with your goals and objectives. What are your goals for your customer? Is it to convert or is it for your lead nurturing? Whatever it is, you want to make sure that you’re clear with it. With your goal all set up, you have to create a marketing strategy that will help you accomplish your goal. You cannot just personalise your emails without having any idea who your recipient is. Through a contact form, you can get data and information about your customer (with their consent). And making sure to get the most important ones such as their Name, Email, Address, Birthday, or their Job. These will give you enough information when it comes to giving them a more personalised email. Support this data with your customer persona. Then create an email based on all of these data. You have to remember your goal. You have to make sure that your goal will be reflected in the content of your email. The emails you’re about to send should be all prepared. Remember, your goal is to personalise, which means you’re not writing a one-size-fits-all email. All versions of your email should be ready for sending. After dealing with the content of the email, the next thing is to prepare your mailing list. Segmenting your contacts makes sending emails a lot easier, now, if you’re worried about the current number of your contacts that you need to segment, there are Customer Relationship Management software such as Infusionsoft that allows easier email segmentation through the tagging feature. After segmenting your list, it’s time to send your email. Email marketing softwares make it a lot easier to send emails to a lot of contacts. However, some people may not convert on your first email, you can further give them a more personalised email through having them undergo a drip email campaign which will guide your customers through until they are able to convert. Infusionsoft allows you to create this personalised campaign faster with their user-friendly campaign creator. Your personalised email campaign does not end after you send your first email, or after your first campaign. Create variations of your email and conduct a test which version is more effective. 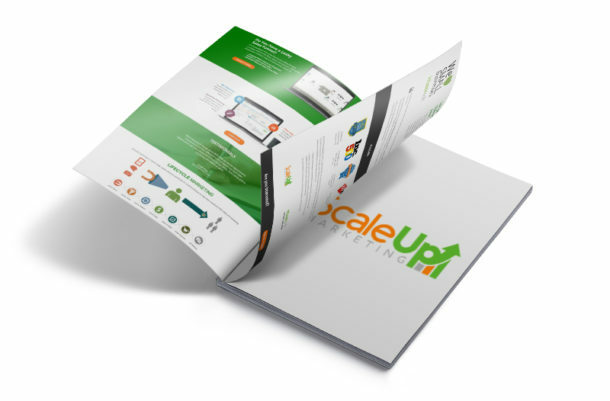 The more effective variation will then be applied to your next email campaign. Personalisation is a lifelong process. As long as your business is there, and your customers are waiting for your email, you’re never going to stop personalising emails. Remember, your customer wants to talk with real people— not robots.